Don’t let watching the news continue to stress you out. 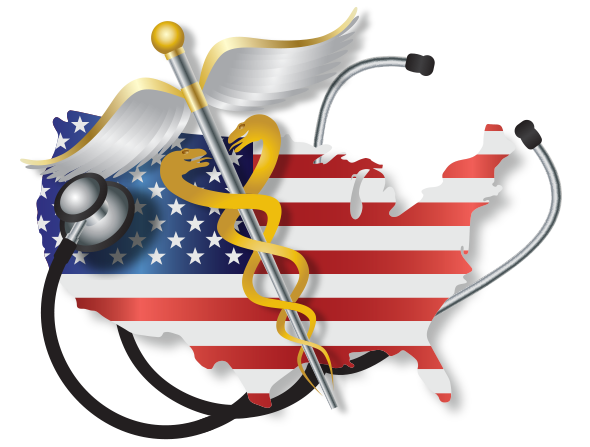 The status of American healthcare has been in the news frequently over the past several months due to the new presidential administration and the desire to reform the previous administration’s policies. It has almost reached a point where private citizens are tired of hearing about anything even remotely connected with the industry regardless of the benefit or harm which may be revealed. This can be a significant cause of stress in the lives of many and it is important that it be addressed as a systemic problem in our culture. However, avoiding the news is not a great solution because it can prevent awareness and understanding of critically important events and discoveries. Instead, look for sources that reliably report factual information without any sensationalist flares to continue receiving the most pertinent information while simultaneously lowering your personal stress levels. There are several healthcare items that are surprising to many people because they are often not seen as newsworthy to traditional media sources. One story that did get a lot of play over the past year was about how Martin Shkreli and other CEOs were raising the cost of pharmaceuticals to astronomical rates on medications which were desperately needed. While the main media focus was on the profiteering nature of these practices and the baffling truth that they were currently legal, there were some underlying implications which have not been discussed as carefully. One of the results of these types of scandals concerning the questionable practices of the pharmaceutical industry is that the American public, media, and lawmakers have begun to rethink many of the policies and laws which are in place. This has already resulted in a decrease in prices for some of the top meds and greater interest in discovering new alternatives for medications to ensure the market remains competitive. Amidst all the talk of the changes to the Affordable Health Care Act, not much has been said about the other options for paying for one’s healthcare. Employer provided healthcare is still one of the leading options and many people receive their healthcare as one of their main employment benefits. For both people on an employer’s plan or who are covered through the marketplace, there are two types of savings accounts that can help mitigate the cost associated with paying for one’s healthcare. A Health Savings Account (HSA) is a savings account that can be opened by individuals who have a health insurance plan with a high deductible. While there are annual contribution limits, any money that is put into one of these accounts offers numerous tax benefits. The money is not eligible for taxation when filing state or federal income taxes, the funds that remain unused in the account grow tax-free, and any money distributed to pay for a qualified medical expense isn’t taxed. This offers the potential for substantial savings over time. A Flexible Spending Account is a similar type of savings account but it is available to those with any type of insurance. It also has the benefit of being tax free initially, however, most of the money cannot be rolled over from one year to the next and the total amount one can contribute is lower. Even with these differences it is still a great way to lower your tax burden and have money set aside for unexpected healthcare costs. For so long people were only covered when they went to the doctor for an illness or injury. There was no incentive for trying to stay healthy but that has changed dramatically over the past several years. Preventative care measures have been greatly prioritized and many people are not aware and not taking advantage of these powerful benefits. Many health screenings for common conditions such as breast and colorectal cancer are commonly covered as are screenings for other conditions such as depressions, diabetes, hepatitis, and HIV. Diet counseling is available for patients at increased risk of chronic disease and vaccines for common health issues such as influenza, tetanus, chickenpox, measles, herpes, hepatitis, and more are covered. If you have an active health insurance policy there are probably benefits you are missing out on. Take the time to look into the free preventative care you could begin accessing immediately. Don’t let watching the news continue to stress you out. Find a small selection of reliable sources and curate the news you receive and carefully schedule the times at which you consume it. This will ensure you are receiving the most pertinent information without becoming overwhelmed and unwilling to engage with new information as it becomes available.